The superintendents offered varying explanations for the contrast with the stronger resistance to the Common Core in some other states. Such pressure has already led three states – Indiana, South Carolina and Oklahoma – to back out of the national coalition supporting the standards. Some credited the support in part to their own districts’ efforts to educate their communities and head off potential controversy before it had the chance to grow. Christopher Hoffman, superintendent for the Elk Grove Unified School District near Sacramento, said his district’s success in building support for the new standards among teachers, who have then been able to spread the word to parents, has made a difference. Fresno’s Hanson said another reason for the lack of opposition is that the transition hasn’t been as dramatic as it may have been elsewhere. California already had rigorous content standards, which the Common Core augmented, he said. “It is dramatic in the instructional shifts that are called for, but it is not nearly the jump (for California) that it is for other states,” he said. Public opinion polls show that the standards are relatively popular in California, where both the state Legislature and teachers unions have been largely supportive. A survey published in April 2014 by the Public Policy Institute of California found that 72 percent of public-school parents said they favored the new standards. The poll, however, also found large racial and ethnic differences among parents in their levels of support. Fifty-seven percent of whites were in favor of the standards, compared to 71 percent of blacks, 77 percent of Latinos and 88 percent of Asians. Other factors have helped California skirt much of the national controversy over the Common Core, as described in an earlier EdSource analysis. These include strong support from Gov. Jerry Brown and the Legislature, which has resulted in the state allocating significant resources to support Common Core implementation. In 2013, the Legislature approved $1.25 billion specifically for districts to implement the standards. A proposal in the governor’s budget for 2015-16 would add almost an equal amount next year. In Santa Ana, Norma Ortiz, executive director of the Santa Ana Educators’ Association, the local teachers union, said that what she characterized as her district’s thoughtful implementation of the new standards has helped win its employees’ broad support. Beginning more than three years ago, the district invested heavily in teacher training and in-classroom coaches, providing what Ortiz called a “head start to make things easier on educators who already have much on their plates” in advance of this year’s full battery of Common Core-aligned tests. David B. Cohen, a Palo Alto English teacher and education blogger who has been traveling throughout the state interviewing teachers for a book about education, said “there’s less outright defiance and protest” in California than elsewhere. That’s not to say that there is no opposition to the Common Core in California. Over the past several weeks, signs of dissent throughout the state have included scattered and mostly small protests at school board meetings, a few critical Facebook pages and websites, and efforts to organize parents to “opt out,” on their children’s behalf, of this spring’s standardized tests. Last year, running on a strong anti-Common Core platform, former schoolteacher Lydia Gutiérrez came in third in the race for state superintendent of public instruction. Gutiérrez, a Republican who had virtually no name recognition and almost no campaign funds, subsequently ran for a seat on the Los Angeles Unified Board of Education, forcing board president Richard Vladovic into a runoff election on May 19. Also last year, Central Valley Tea Party coordinator Connie Brooks, another vocal Common Core critic, won a seat on the board of the Kings Canyon Unified School District. On the conservative side of California’s Common Core opponents are organizations such as the state’s chapter of the Eagle Forum, a “pro-family” group founded by Phyllis Schlafly, and Californians United Against the Common Core, which includes Tea Party and Eagle Forum chapters throughout the state. California critics also include some parents and teachers on both ends of the political spectrum. A Facebook page called “Stop Common Core in California” had 6,561 “likes” this month, with the majority of the comments voicing opposition to the Common Core-aligned Smarter Balanced tests, rather than to the standards themselves. Kristin Phatak, a Chula Vista registered Democrat and mother of three children in elementary and middle school, said she transferred her previously high-achieving 8th-grader to private school after he began to fail at math, which she ascribed to the new standards. She has organized two “opt-out” parties at her home to encourage other parents to boycott the standardized tests. Fifty parents and teachers attended a party in February at which Phatak handed out sample waiver letters parents could give to their schools to request that their children be spared the assessments. California law says schools must honor such written requests. None of the superintendents in the six districts interviewed by EdSource Today said they had witnessed similar levels of opposition in their communities. Visalia Unified School District Superintendent Chris Wheaton described one school board meeting, where “an organized group tried to almost disrupt the informational meeting by making speeches about Obama and the United Nations and Bill Gates and all kinds of conspiracy theory statements.” But he said that was an isolated incident and that Visalia’s critics “haven’t gained enough traction to really interfere” with the district’s implementation of the Common Core. When students start taking the new Smarter Balanced assessments in large numbers between now and June, and their scores are published, it is possible that parents and teachers will have more concerns about the Common Core, potentially generating more opposition to the standards in communities around the state. Conflict may also arise – as it has in several other states – if a district tries to link teacher evaluations to student test scores. Both Fresno and Santa Ana – two of the districts being followed by EdSource Today – have received waivers from the Obama administration from some of the requirements of the No Child Left Behind Law in return for their agreement, among other conditions, to evaluate teachers by this measure. As the districts begin to administer the Smarter Balanced assessments, some are ramping up their communication efforts with their staffs and communities to alleviate concerns. Jason Willis, a San Jose Unified assistant superintendent, said San Jose has issued information about the new standards for schools to use on their websites and in newsletters to parents. The district also recently held a public meeting to field parents’ questions, with another scheduled for April. I could not disagree more with your article. I have 7 year old twins (boy/girl) in 1st grade in Tracy. My wife and I know scores of parents – they loathe and detest CC. These kids are crying, hating both arithmetic and school. CC was never benchmarked, vetted, tested anywhere – happy to provide you with the proof. It was never voted on by Congress, nor allowed to be voted on by the American public. Dr James Milgram, Professor Emeritus of Mathematics at Stanford, was the only original mathematics professional on the (then) Common Core development project; he was then shunned by that group when he could really see just how poor and fragmented the math Common Core was being developed – and outrightly refused to sign off on it. Do your own history, it was developed and pushed by a bunch of self-focused bureaucrats. As you can surmise from my professional profile, my entire academic background and professional career is extremely strong in physics and mathematics. Know that I struggled with arithmetic at an early age, but overcame to excel. I have also tutored middle school children (algebra), college freshman in math, and taught math-based geophysics classes as an undergrad myself. I also have a (now) 25-year-old daughter from a previous relationship that I raised as a single dad and tutored up through/into college. Common Core is – without a doubt- the most ridiculous error-ridden program of so-called ‘educational’ tripe I have ever witnessed my entire life. Having been a professional Navy test pilot – into private industry – mathematics has been my bread and butter. Trust my teachers – I hawk every thing they send home and teach my kids. I guarantee I am hardly alone in this regard. It’s always the same – follow the money; that is the only reason the states have been coerced to adopt it. It is not because it has merits — there are none. I am not for the common core approach to teaching and learning. It is a disaster. More emphasis is put up on “a process” rather than correct answers.Correct answers are always going to win in real life. I am not in favor of students working in groups which is an approach used by teachers to instruct. I am old school and believe the way that I was taught was correct. Common core does not work in Math AT ALL. It is such a disservice to students of today. I am very close to removing my children from the public school system and simply teaching them myself. I have more confidence in my abilities to instruct in a meaningful way that does not waste my child’s time. The real question is when the students perform badly (notice I said when, not if), where will the blame be directed? The CCSS, the tests, the teachers? I suspect that if the fingers get pointed at the latter, then they will start pointing at the CCSS. As has been stated the whole idea of standards based education is something of an experiment. The CCSS are no more or less an experiment than the last set of standards. If you do a little research you will find that the introduction of any new assessment typically results in “low performance.” Then, over the course of several years. the scores will improve and then, again typically, plateau. As SBAC is a new assessment and is not comparable to the old CSTs it is all a new and level playing field. That does not mean that the professional critics, or pundits, will let this normal course of events in assessment pass without wild cries of “crisis in the schools.” No opportunity is lost to howl about a “crisis in the schools.” Meanwhile the CSU and UC systems will deny entry to thousands of qualified students, graduates of the “crisis ridden” K-12 system, because of lack of funding. Now, there’s a crisis in the schools for you. For clarification see Diane Ravitch’s comments re Bill Honig’s description of the rollout of CCSS in CA. She does see the rollout in other states as a continuation of the imposition of corporate values on the education system and plots to district the public from the reasons for poor school achievement, essentiality the abysmal rates of child poverty in the US, by targeting teachers with test score based evaluations and targeting students with excessive testing. To preface my further comment, what you rhetorically refer to as “corporate values on the education system” is the freedom for charters to innovate when otherwise constrained by Ed Code. Instead of lamenting the freedom of charters, traditional schools should take their lead and push to eliminate burdensome codes that hamstring schools from innovation and thoughtful progress and expand their horizons. There no reason why education has to be one-size-fits-all, No one has a monopoly on innovation – only a monopoly, if a fading one, on the status quo. But it is hard to have that kind of intellectual progress or even that kind of discussion when we are reduced to speaking in pejorative terms that reduce complex issues on education reform into polemics about the profit incentive. And it’s a fake issue when the great majority of so-called market based charters make no profit. The spectacle of progressives fighting against grassroots action by poor and immigrant families to increase their educational lot pits their personal financial interests against their long-held progressive political aspirations and then they have the unmitigated audacity to rail against the selfish marketeers. Core districts have already agreed to evaluate teachers by test scores to get a waiver from NCLB. I don’t think Common Core was an issue for CORE, but was that also a requirement to get a waiver? Just wondering if these two are part and parcel of the same federal education policy. Yes. In order to get the waiver, districts or states needed to adopt “rigorous standards” and base evaluations in part on student test scores. Diane Ravitch was generous enough on her blog to repost the words of former State Superintendent Bill Honig (see below) on why the CCSS are receiving a relatively positive response in CA. Though the self-styled reformers in some other states have used the CCSS to further their agenda of abusive over-testing of students and pseudo-accountability measures for teachers it doesn’t have to be that way. CA, under it’s current policy leadership, Tom Torlakson, Michael Kirst, and Linda Darling-Hammond are doing as much as possible to take what is good about the CCSS and leave behind what is potentially bad. Ravitch, a frequent critic of CCSS, seems comfortable with the vision of how CCSS can be used, leaving the corporate ends of the self-styled reformers behind, and use the CCSS a stepping off place to also leave behind many of the same negatives contained in the previous versions of CA’s “accountability,” testing, and standards as well. Finally, educators in the Golden State have been heavily influenced by Michael Fullan, Jal Mehta and Richard Elmore’s beliefs and the successful experience of such school districts such as Sanger and Long Beach that an alternative strategy of placing instruction and collaborative, continuous capacity building at the center of any reform efforts is key to success. teachers, administrators, educational and teacher organizations, advocacy groups, and political leaders. What gives? The first explanation is that the standards are seen to embody the kind of teaching and instruction that our best teachers and educators have been advocating for years. In math, based on what such organizations as the National Council for the Teaching of Mathematics and the National Research Council have been proposing, the standards move away from primarily a procedure-only driven instruction to also stress conceptual understanding and application. 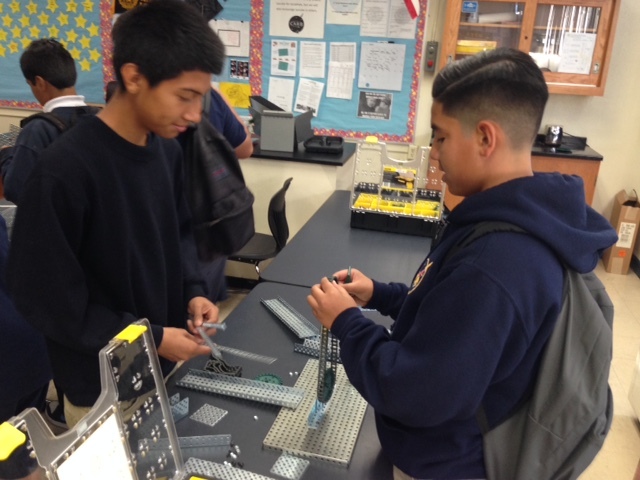 They place more emphasis on problem solving, critical thinking, and projects. The math standards also stress practice standards and their integration into daily instruction by calling for modeling, discussing, and explaining. The standards are bench-marked internationally and shift from the current mile-wide and inch deep approach to a more in-depth attention to fewer topics comparable to what the high-performing countries and jurisdictions do. All in all, the standards envision a much more active and engaging classroom which when presented to teachers is immediately perceived as a major change for the better—a difficult change, but necessary. Similarly, in English Language Arts the standards also encourage a much more active and engaging classroom– more writing, presenting, discussion, and research projects and performances. They propose increased attention to the steady build-up of knowledge of both the world and the disciplines. They underscore the importance of being broadly literate and well-read as well as being able to understand complex literary and informational text. If your point is that Ravitch implicitly supports CCSS in California but not the rest of the nation you are dead wrong. She posted the article by Honig because she’s fair-minded and willing to listen, especially to a friend, notwithstanding her fundamental take on CCSS which I copy below. I have only read through portions of the standards and I make no pretense at understanding them in any depth. Besides the concerns expressed in many corners about the limitations of David Coleman’s understanding of pedagogy, what concerns me most at a visceral level is the work sheets that my child brings home from school. Much of it I find illogical and unnecessarily confounding. It seems to be the work of people who have substituted useful practices for some perceived ideals. At the same time and despite the disingenuous claims that the CCSS is not a national standard, a universal standard removes the input of locals to affect the education of their children. Instead of building education from the ground up in the sense of idealized local control, mandates are delivered from on high and individual rights to collaborate are voided. That’s why I have chosen to opt out my children. High School Students Should Not Be Charged a Fee to Park on Campus! especially when the fees are different at different schools, adult students are not charged, teachers are not charged, and visitors are not charged. That is a violation of the Equal Protection clause of the 14th Amendment to the US Constitution. $500,000 a year in illegal fees is a $500,000 per year tax to park on taxpayer owned land. Children should take public transit to school through high school and be encouraged to carpool and be public transit users in adulthood. Our environment is under threat and global warming is a real issue. We’re raising too many kids to end up traveling everywhere alone in private cars which is horrible for the environment. We need more gas taxes and fees for parking to make it cost prohibitive and then we can spend that revenue on more buses. It will create jobs for blue collar people, high paying jobs for mostly disadvantaged minorities and will cause kids rich and poor, black and white, Latino and Asian, to travel all together on a bus to an integrated school so they can connect and understand each other, rather than in private automobiles. Anything we can do to discourage children from driving alone and damaging the environment and being alone is a good thing. Due to Budget cuts we have no busses unless parents pay at a cost of $500 per year. So we cannot walk- we cannot park within a reasonable distance and the few who can park or ride the bus pay almost $1,000 per year to get to a school that the state mandates they attend. Thank you to all who commented here. I found much to learn from in the comments – wisdom, experience, facts, websites to check for more info. The article, itself, I found very disappointing. It does read as if “all is fine in California.” No. All is not fine. But for all the reasons listed in the comments, the full voice of California has not yet been raised. Don’t worry. That is coming. As the parent of a public high schooler who previously went to a progressive, “independent” (private) K-8 school, and as someone who reads about Public Ed issues, is involved in grassroots advocacy for Adult Ed and K12 Adult Schools, and is the aunt of an elementary schoolchild with some special learning needs, I dislike Common Core very much. One of things that troubles me about Common Core is the emphasis on “close reading,” “text-based” reading, non-fiction, and so on. Yes, sounds good, I know. But who determines which texts? And which texts are determined? There is no truly subjective text in K12. It’s simply not possible. Kids are not reading raw data and analyzing it. It’s K-12, not grad school – I don’t care how many experiments you have them do. It takes time – and maturation of the frontal lobe – to reach the powers of understanding and analysis that come into play in years. K-12 kids, especially K-8, are reading an interpretation of data and being encouraged to think about the data in a certain way – not to think about the larger petris dish in which it all grows. The humanities, especially literature, have always sought to teach people to think about thinking, their own and other people’s. It’s not a secret – it’s the actual aim of the subject and in a good humanities class, it’s open to discussion. Really good humanities teachers encourage students to question everything – the subject matter, how they think about it, etc.. Non-fiction often takes a different tact – especially in the younger years. It tends to act as an authority, providing information. I don’t see how Common Core is encouraging students to think about the context in which information is produced, why it’s disseminated, who benefits from it, etc. I know… that is always hard to come by in a public education system. But you know what I mean, I hope. Real critical thinking questions everything. To me, Common Core purports to teach critical thinking but in fact, presents itself (CCSS) and various non-fiction texts as authorities, and doesn’t encourage questioning, or asking students really study and ponder and feel out the material and decide whether they know it to be true based on their own wisdom and life experience. Especially when it comes to reading texts, because of this “close reading” strategy, I don’t see where Common Core is teaching students that it is not just their right – but their responsibility – to really think about what they read, question it, measure it against what they already know, and form an opinion as to the truth of it, so far as they know at this point in their life. In other words, to some degree, to become their own authority in terms of thinking. To understand that information has a context and is often subjective. That perception is related to experience. That even the hardest of facts – we rotate around the sun, for example – is not meaningful unless we make it our own and begin to work with it, bringing it into our understanding of how everything work, connects, and impacts – us and everyone and everything around us. Information, to be truly useful, needs to be taken into an organism, integrated, and utilized. Maybe that’s why we talk about “digesting” information. There is something about Common Core, to my mind, that encourages students to keep information “outside” themselves. This whole “close text, just stick to the text, what does the text say, stick to the text” thing, presents the process as happening “outside” the student “on the page” and on the page, only. And yet… and here’s where it gets tricky… nothing is ever really outside us. We’re always taking in everything around us. We are permeable organisms. And so… with this Common Core close reading thing, what are we taking in? We are, I think, taking in that we are not the authorities for our own lives. I feel that that is the heart of it – and why both the left and the right are responding with so much strong emotion. When something elicits anger and push back from communities which normally work in opposition, you must sit up and take notice. Something is happening. Something real. What is it? It’s a little like Climate Change, isn’t it. Huge snows in the east. Big hurricanes in the south. Awful drought in the west. Three very different regions all devastated by real and frightening weather patterns. Something real is happening. Is it three real and scary and distinct things happening separately in three distinct regions? Or is it singular in origin, playing out in different ways in different regions? Common Core has brought on a flood of critical thinking and pushback from both the left and the right – and Common Core has not welcomed this. Critical thinking is hard. Really hard. Why is that not mentioned much? It’s hard and messy and leads to conflict which we don’t have a ton of skills for dealing with. I think my daughter’s K-8 progressive school did a great job of teaching critical thinking because it was a tiny school and they could deal with all the messiness that is truly involved in encouraging critical thinking. It was truly their aim and their value and it was accompanied by a big emphasis on social and emotional intelligence. It wasn’t perfect but they did a very good job of it. I know because they continue to produce class after class of kids who excel at both critical thinking and getting along with others. But unless you take that tact… unless you are really willing to deal with the messiness of it and teach kids skills to deal with the messiness… saying you are encouraging critical thinking even as you loudly announce that this is way things are going to be and everyone should get in line to do it… well, do I have to tell anyone that doesn’t go well? And no one believes you? One reason I’m so familiar with all this is because I tend toward critical thinking, myself, and for that reason did not get to wear a gold tassel on my mortarboard at my high school graduation. I had the grades in everything but citizenship. Too much critical thinking and questioning authority meant no gold tassel for me. (Well, maybe better than no fruit cup, lol.) I grew up around teachers and did not see them as authorities simply because they had been entrusted with my education. I am not advocating not respecting elders, parents, or teachers. What I am saying is that when people engage in critical thinking… especially if they are thinking critically about a man behind a curtain, a naked emperor, or someone misusing power for a bad end, things get messy and complicated in the short run. In the long run, critical thinking makes things better. And that’s why I always read the comments on Edsource articles. Much information, intelligence, and wisdom to be there. Thanks again to all who shared. Mercedes Schneider’s blog: https://deutsch29.wordpress.com/ is an excellent source of information on Common Core and the context which produced it. Mercedes has painstakingly traced the financial roots of education policy. She is tireless, brilliant, funny, and committed to the best public education possible for the kids who will one day be deciding policy on the old people who will be us. Long live the questioners. Long live those who are skilled at dealing with messiness and the helping the rest of us to do so. Long live the dialogue here. And thank you, Cynthia, for your thoughtful response which speaks for itself. It seems that Ed Source has decided to help press the CCSS, running several positive articles on the subject without providing even something less than equal time to opponents. To its single credit, Ed Source reported on a survey that showed rising opposition. Despite that reporting, it chose to highlight only the supporters in recent interviews. Editorial decision? You decide. In typical fashion, this current article gives short shrift to opponents. In one example writer Katherine Ellison says “Some credited the support in part to their own districts’ efforts to educate their communities and head off potential controversy before it had the chance to grow.” This presupposes that opposition is based upon ignorance as though support is simply a matter of better acquaintance with CCSS. The statement highlights the author’s disrespect for the opinions of others an opinion that flies in the face of the reported survey that showed that the more people (teachers and parents) got to know the Common Core the less they liked it. Something had to be done to get public opinion on the right tract. Your concerns around “close reading” mirror some I have had. Further study, though, has led me to be less concerned. As various factors that “might” be associated with CCSS, e.g., injection of more corporate values into education, etc., etc., those factors do not have to become imbedded in implementation. Close reading of CCSS indicates there is plenty of room for teachers to inject pedagogic values back into education. One of my related concerns was the CCSS emphasis on non-fiction, which sent English departments as well as lower grades teachers into a tizzy. Then I heard (read?) a clarification by Coleman (co-author of ELA CCSS) himself who said quality fictional literature needs to remain a staple of ELA instruction. It is in the other content ares where non-fiction (and non-textbook) reading should be inserted. We have talked for a long time about “reading across the curriculum,” but it has always been an uphill trudge because content area teachers, with much justification, believe that they have more than enough actual discipline related content to cover without inserting reading comprehension issues into their classrooms. Perhaps we can now find a balance to that conundrum as there is more emphasis on depth in curriculum rather than just breadth. Giving a close reading to the professional journals on the topic of “close reading” it can be seen as a strategy to encourage “asking questions” by the reader about the text. Developing answers to those questions leads to more complex thinking, increased comprehension, and critical thinking. So, contrary to your statements, it is mostly about developing questions. If done correctly. It’s relatively easy to suggest other peoples kids should have the over-testing, the teachers operating under threat of arbitrary personnel actions, the limited opportunities afforded by the underfunded public system, and those large class sizes. It’s also easy to say for whatever reasons the kids in those public schools don’t deserve to be in classes using sophisticated strategies that are “messy” and can promote critical thinking. But public school educators may well think otherwise. ‘SAUSD was ‘thoughtful’ in its implementation of CC$$ and has helped win support?’ I do NOT think so! It astounds me that these types of statements are written, yet TEACHERS and STUDENTS have not been queried. In my opinion, if the author was to interview those who are directly impacted by the standards, i.e., teachers and students, she would find a completely different response. A sampling should have been taken and this data shared. This article is biased and skewed, making it appear that Californians are a passive lot. Do you want to know a couple of major reasons there hasn’t been much opposition? Last year was the first year of testing in CA, parents weren’t allowed to see teat scores. Attaching teacher evals to test scores has been detached from test scores, for now. Not that I believe they should be. This year will be the year they release scores to parents, that should be an eye opener. The reality is there are almost always relatively low scores when a new assessment is implemented. The SBE and CDE are working to inform parents of that. Particularly in the case of technologically based assessments, a new system for everyone, it will take a while for the infrastructure to be in place and students an teachers to get used to it all. There will be glitches and that is to be expected. One of the real reasons there has been relatively little backlash in CA has been the more thoughtful and collaborative fashion state leadership has demonstrated in the rollout. There was a huge backlash in NY because they rushed everything and when the inevitable glitches occurred there, people were caught unawares. Never a good thing. CA, like, NY has issues with the time necessary to prepare students for the standards, new assessments, and getting materials and teacher professional development in place. But the “delayed” implementation is proceeding in a much more thoughtful and realistic fashion. This is much to the chagrin of the usual critics of public education who are quite impatient to jump on any of the predictable problems and continue to distract the public from the issues of terrible school funding, a weak tax revenue stream, and widespread childhood poverty in the state. There has been no “collaboration” with the public. Does anyone realize that the State Board of Education adopted Common Core on august 2, 2010 (almost 5 years ago) and it is just now that parents and the public are seeing what was done on their behalf without any in-put from parents and the public. It is this year that all of the maintenance of effort block grants are ending and what do I see as a parent in the Capistrano Unified School District? The District can save $2.9 million by restructuring ROP. The District can save money by ending all adult Ed using K-12 money. Lost of program expenses are being passed to Community College which is probably why Obama wants to make the first 2 years of public education free… because we now know that only 59% of our students are graduating from high school without needing to repeat or take High School classes before they are ready to enter even a community college. I personally thank God for Common Core because it showed that California’s High School Graduation requirements are two years behind the rest of the world in math. I am moving my child to private school which I should not have to do to get a good education in south Orange County- but at $7,002 per students all we can afford is to pay employee compensation- not a lot of education going on anymore. As one parent who has never really fought for vouchers- well I will now, I am tired of pay my taxes (ever increasing) fundraising and paying illegal fees and to add insult to injury I now get to pay $26,000 per year to get my middle school child a descent education. Oh and let me further state that things are so pathetic in CUSD that we have now resorted to hiring a full time lobbyist in Sacramento just to get the ear of our elected representatives so that they might consider doing what they are already constitutionally obligated to do… provide a free and equal basic education to EVERY child- not JUST the poor and english language learners. meant to say first 2 years of “community college” free. Might I add that CUSD collects almost 1/2 million dollars in parking fees so that students can have the “privilege” of parking within a reasonable distance to campus. If you are unfortunate enough to get one bad grade you then loose your parking privilege and are asked to pay another fee to revoke that privilege. To add insult to injury- the homes around most CUSD campuses have somehow gotten the local City Councils to put up No parking during school hour signs. So how would the State and Cities like for the majority of students to get to the classes they are mandated to attend. Lack of adequate funding has eliminated almost all busing and the few routes that are available cost $500 per year. AT Capistrano Valley High School Kids are paying to park at Saddleback college and are walking almost a mile to school at a cost of $800.00 per year ($5 per day). How legal is it for our District to profit by charging only certain students to park on campus? It appears you do not understand that the SBE in 2010, when it adopted CCSS, was under the control of a different governor and composed of a group of very different people. That the 2010 SBE rushed to judgement and communicated poorly is not a surprise. The author had contacted me, as well as another person from United Opt Out, but we were left out. I’m guessing because she wanted to present it as California does not have opposition to Common Core and SBAC. It does. It has a LOT, and is growing. This article makes it seem like only Tea Party people are against Common Core. Not so. People from ALL sides of the political spectrum are against high stakes testing, the privatization of public schools, and Common Core. California IS quieter because we have been sheltered from the worst of it, so far. Many other states tie test scores to teacher evaluation. CA does not do this. Other states started Common Core and all the testing before CA really started it. That said, there are a number of parents who ARE opting out, as it is a parent’s right under CA Ed Code, and the number keeps growing. Teachers are also speaking out, and local unions and school boards are passing resolutions against high stake testing. The majority of parents of school children don’t really know what common core is exactly, that is why there isn’t much opposition. Testing just started last week in my son’s school. A huge fail rate that is guaranteed to happen, just may wake the parents up. 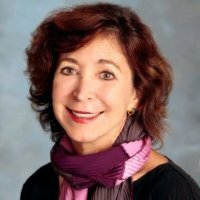 You need a conversation with Laurie Udesky with Ed Source. She has interview numerous parents who are very concerned and working hard to inform parents of the travesty called Common Core. Just go to your little web browser and type in the following and you will find a plethora of information about the reason Common Core stinks: 1) common core not age appropriate (standards), 2) 500 clinical psychologist sign a letter, 3) Dr. Megan Koschnick on Youtube, 4) what’s wrong with the common core, 5) issues and problems with the common core, 6) Valerie Strauss at the Washington Post, 7) Diane Ravitch, 8) Anthony Cody. Common Core isn’t just about the testing, though that is a big piece. However, the bigger piece of the pie? Washington control education via over regulations, just the way they want it to for their corporate supporters in the testing industry, computer industry, publishing industry. That’s how it works in Washington DC. You grease my palms and I’ll grease yours. Common Core has NOTHING to do with education per se. It has everything to do with $$$$ for corporate and government interest via the data generated by the test. The Common Core Standards are actually “data tags”. Yep, just type those words into your little web browser and you’ll see the Cheshire cat smiling at you. Common Core issues are a plenty and just like a visit to Alice in Wonderland’s…..they will take you on a journey…or nightmare. If you believe that parents and teachers are buying into Common Core you don’t get out much. Teachers morale is so low and frustration is very high. Parents are agonizing over math problems. Parents are starting to sign opt outs. And home schooling or enrolling children in private schools. Parents in the districts you mention are profiting from the Local Control Funding Formula, while other districts are getting punished because the Gov. believes they do not ‘need’ the money. Wait a minute….he’s taking our tax dollars and giving it away? What a surprise. As the article reports, public resistance in CA to both CCSS and the new assessments is considerably less than it is in some other states. This is in large part because the conservative “red states” have decided that CCSS is an Obama initiative and anything “Obama related” must be opposed at all costs. Actually CCSS are more of an Gates Foundation initiative (at least for the funding, and yes, the state superintendents were along for the ride) and there is a very close relationship between Gates and the USDE under Arne Duncan. The President has been verbally supportive of CCSS, but they are not, strictly speaking, his initiative. The most significant difference between what has been happening under CA’s implementation of CCSS and other states is that the current State Board and Superintendent of Public instruction, to this point in time, have been very understanding of the difficulties involved in simultaneously implementing the CCSS and SBAC. They are doing those things within their respective jurisdictions to ensure the time, resources, and teacher professional learning are in place prior to full rollout. Will there be “holes” in this process, as the concerns of the superintendent interviewed here suggest? Certainly. CA’s is handicapped more than almost all other states in any educational endeavor because of its poor funding for the schools. The SBE in CA, having realized that the API in place for a decade failed to achieve any of its states intentions, are revising the API to better reflect what is really going on at schools. It did achieve many of its “unstated intentions” like labeling schools with high-needs students as failing and providing ammunition for the professional critics of the public schools. Because of the collaborative nature of the state authorities the teachers’ unions in CA have been generally supportive of the initiatives. This will likely remain the case unless there is some widespread effort to link scores from the new student assessments to teacher evaluations, a scenario which has been thoroughly and scientifically debunked. The national “opt out’ movement is more about objections to high stakes testing, abusive testing, and excessive testing than testing itself. There are some who see CCSS and excessive testing as inextricably linked and, if that becomes the case, more objections might arise. The intent of LCFF, the Governor’s initiative on school funding, has as its core the principle that it takes more dollars to give an adequate education to second language students and poor students. All evidence suggest this “principle” is accurate. The problem, of course is, CA’s whole school funding per student is inadequate. That will not change until CA’s tax revenue system changes. As to your other assertions, CA’s (like the rest of the nation) private school enrollment is shrinking. Home schooling across the nation has increased from 2.5% to 3.5% in about a decade. A trend, but not an overwhelming one. Charter school enrollment, mostly in S CA, is growing but likely remains under 10% of total public school enrollment. In the statistic that you cited, do people who homeschool under public charters count as homeschooling or do they count as public charters? Good question. I cannot say with absolute certainty, but my best guess is those enrolled in charters focusing on home schooling would be counted as “attending” a public school. So there would be a distinction between the actual home schoolers and those doing basically “home-study” and having a connection to a public school teacher. Calling the behavior of our education leadership ‘very understanding’ is being generous. CA did not have to implement CC or SBAC, it chose to. In doing so, it chose to disable the previous system before the new one was in place, even ignoring the warnings of experts on how long the space between them would realistically need to be (likely intentionally, imho–note the very known-quantity lag of frameworks and instructional materials). It did so knowing well our funding issues. Although API was used in the determination of ‘failing school’, it’s important to note it was only one of many components. In fact, it was fairly common for a school to meet its API criteria, but be labelled failing as the result one of the many other metrics. This is important because even if/when API goes away, those other measures likely will not. Not that it matters, but LAUSD’s charter enrollment makes up almost 10% of LA County’s total enrollment by itself (probably over 20% within its own jurisdiction). Please recall that the “adoption” of CCSS came in a rather frenzied time when CA was trying to qualify for the original RTTT grants. The “leadership” in education. particularly in the legislature, was a very different animal then. Key people involved in that “rush to judgement” have since made it clear that they are: a) hostile to public schools, public school children, and public school teachers, or, b) driven by such ruthless ambition that they cared not what the fallout from their ill-considered actions might be. Lady Macbeth, who was brought up in another recent series of posts, had nothing on these folks (and one particular State Senator in particular). Actually, a witches brew of a & b are likely the most accurate. Re SBAC, I think the story is a little more complicated. There was certainly a national consensus, with the POTUS much in the lead, that the simplistic bubble-in tests that have been prevalent for so long were just not doing the job in many ways. Now jumping on the adoption bandwagon was undoubtedly precipitous, but jumping on bandwagons is what political animals do. CA’s are no different. That being said, the present leadership, in large part politicians, appear to be doing what they can to mitigate the problems and do the best that can be done under the circumstances considering CA’s fundamental lack of resources. Again, will there be “gaping holes” in the rollout? Absolutely. They will be multiplied by the resource issue, but the rollout of all large systems, particularly technology dependent systems, are bound to be plagued with problems. When it all hits the fan, it is paramount that the leadership have “understanding,” because the “let’s trash the schools” folks will be standing by ready to point fingers and continue to do everything they can to distract the public from the fundamental lack of revenue problem, and the leadership can mitigate that problem. The state leadership does have the “bully-pulpit” should they care to use it. And you are correct that many schools with more than acceptable APIs were deemed failing (program improvement) under AYP. Again there are ample crumbs to follow back to the very “un-understanding” political leaderships (along with several dupes) at the national level who wanted to use AYP to drive “choice,” aka, vouchers, charters, and the widespread undermining of public schools and the need for taxes to support them. And, yep, the LA area is a hotbed of charter cultism. We’ll have to see how that continues without Deasy around to stoke the flames. According to the CDE, there were 208 directly funded charters in LAUSD territory (four charted by the SBE, eight charted by LACOE, and 196 charted by LAUSD itself) in 2013-14. They enrolled 99,552 students. There are also 52 locally funded charters charted by LAUSD and they enrolled 41,473 students. LAUSD had 732 schools enrolling 513,789 students. Thus, the number of students enrolled in charter schools (affiliated and independent) in LAUSD’s terrritory was 141,025, equal to 27.44% of LAUSD’s enrollment. For self-style “expert ” Gary Ravani to claim that CCSS is more of a Gates initiative than an Obama one is to totally deny that it was Obama’s Department of Education that made the RTTT competition contingent upon CCSS adoption. To cover this gross error he couches it in the terms of “strictly speaking”. He then goes on to link CCSS opposition to red states as though it doesn’t exist elsewhere with the implication that only conservatives would be against it. Right! Conservatives like Diane Ravitch who knows an untested standard when she sees one as a standards and curriculum writer herself. Speaking of standards, is there anything that Gary Ravani won’t say or do to berate the opinions of out-of-line teachers and parents? Initially there was little opposition to NCLB. I believe opposition to the Common Core will grow in California as it did for NCLB. But, what is different with Common Core is that it is really two initiatives packaged together. One is the standard curriculum and the other is the testing that accompanies the curriculum to be implemented on computers. While in the long run I suspect the Common Core will go the way of the new math initiative of many years ago, I’m not sure if standardized tests by computers will outlive Common Core or fade away with the Common Core. I teach in California and am completely against CCSS. It, and the Smarter Balanced test are the absolute worst things to come along. In time….both will fail..have you seen the released test questions? When it fails, teachers wil get the blame and governor browns money to fix public education will go down the toilet. Mark my words. Since I got along in the classroom quite nicely, as did my students, for around 20 years before the implementation of any standards and the imposition of state tests, then followed by NCLB and the real overreach of government and the intrusion of business orthodoxy into the schools, I remain unconvinced we need any standards. However, if we have to have them, and I see no real national movement with any chance of getting rid of standards per se, CCSS seem a step up the from the last ones. SBAC is an opportunity to get more, if not enough, performance based assessments. Whether SBAC turns into another case of excessive and abusive testing remains to be seen. It is not inevitable. I am hopeful, with CA’s current policy, legislative, political, and union leadership that it can be headed off and the new assessments, followed by matrix tests for NGSS and the social studies, can lead to assessments that support and inform instruction. We shall see. How unsupportive of you to try to dismiss my opinion on age or experience. You are dead wrong about both. I have been teaching elementary school for 18 years. I have over 32,000 hours of teaching face to face time. I have been a literacy coach, a master teacher as well as a well respected teacher in my community. I have done my research sir. I have read, investigated, checked sources and linked each aspect of the CCSS to where it is now. I have no doubt that CCSS is the worst thing to come to public education and to California, the state I love, and have lived in for 46 years. Have you done the same? From your comments, I don’t think so. Have you taken sample SBAC tests? Did you know if you take the reading passages from the test and place them in the LEXILE reading leveling software that there are passages at the 12th grade reading level and nothing below the 9th grade level? I have, and it’s a fact. Have you given the test to a group of 9 year olds who have to sit day after day to complete all parts of this ridiculous test? Sir, we all know standards drive everything we do as teachers so I am unclear what part you don’t understand. I invite whoever, whenever to come to my class to evaluate me. The tests are tied directly to the standards and RTTT. Have you seen the actual application California turned in that specifically states we must have an evaluation system for teachers directly tied to these tests? I have. Sorry to sound so irritated here, but your comment is rude and wrong to boot. So instead of reacting to what I am saying here and getting your feathers ruffled, do more actual research and maybe you will get it. I stand by my statements. Yes, we will see. Mark my words. Hi Sara, great post! Though I don’t believe standards aren’t entirely unnecessary, I agree in essence with Gary in the sense that standards are probably over-hyped and certainly so in the case of the Common Core. Just listen to these Q and A sessions recently on Ed Source. But that is a different issue than the quality or these standards on which count I’m in your camp. Frankly, what I find confusing in Gary’s world is his support for CCSS in line with the unions and therefore a tacit approval all the machinations of its development and forced implementation when he doesn’t even personally believe in standards. Its obvious that he’s uncomfortable taking a personal stand in conflict with the union. Because I am in agreement with Tom Loveless and his research on the standards issue, I have found that the CCSS are not “a step up” for CA. We were not Mississippi or Alabama. Our standards were already decent before CCSS. There are certainly some positives with CCSS, but we shouldn’t ignore the early grade negatives. And much of the same wording remains the same for the middle and upper grades. This is new boss, old boss stuff. Because of poor implementation from the state and district level, new online testing, new testing format, and extended testing time frames, my guess is we will face a huge drop in scores. All sides will look at all of this and say “See, we were right.” But it really all adds up to nothing because it wasn’t a test on the standards but a test on the new way of testing standards. Tom Lovelace’s analysis of the Brown Center study was released in 2012 along with his mainstream article, “Does the Common Core Matter”, came before CCSS went into full swing in CA and before Common Core became common knowledge (excuse the irony). Lovelace’s work debunks the idea that CCSS matters and demonstrates that standards themselves are not relatively consequential compared to other achievement factors. Many educators and certainly the leadership has bought into the current rage about CCSS and that student achievement derives, first and foremost, from higher standards, though we already had high standards only behind Mass . As Lovelace points outs standards are just shelf ornaments without high quality instruction, curriculum and materials and that low standards have little consequence when high quality instruction and resources are present. In other words, what happens in the classroom is way more important than any dictates from Sac or DC. But a lot people will have made a lot of money CCSS before it’s all over. The point here is not that Schmidt and Houang did anything wrong. State level policies certainly can be evaluated with state-level data. The problem is that a statistically significant finding from an analysis of state-level NAEP scores, the variation among states being relatively small, often fades to insignificance when considered in the more practical, real world terms of how much math students are learning. It is doubtful that even the most ardent Common Core supporter will be satisfied if the best CCSS can offer—after all of the debate, the costs in tax revenue, and blood, sweat, and tears going into implementation—is a three point NAEP gain. The 2012 Brown Center Report predicted, based on empirical analysis of the effects of state standards, that the CCSS will have little to no impact on student achievement. Supporters of the Common Core argue that strong, effective implementation of the standards will sweep away such skepticism by producing lasting, significant gains in student learning. So far, at least—and it is admittedly the early innings of a long ballgame—there are no signs of such an impressive accomplishment. It is doubtful that even the most ardent Common Core supporter will be satisfied if the best CCSS can offer—after all of the debate, the costs in tax revenue, and blood, sweat, and tears going into implementation—is a three point NAEP gain. Can the small, insignificant effect of implementation be reconciled with the MSU study? Schmidt and Houang reported the tests of statistical significance for their congruence rating but they did not report an estimate of CCSS effects on NAEP scores. It is always possible for a statistically significant regression coefficient to denote an effect that is insignificant in the real world. Statistical significance tells us that we can be confident that an effect is different from zero, not that the difference is important. This is an especially relevant distinction when an analysis of NAEP data is conducted with states as the unit of analysis. As pointed out in a 2012 Brown Center Report study of the CCSS, most variation on NAEP lies within states—between students, not between states. The standard deviation of state NAEP scores on the 2009 math test is 7.6 points. The standard deviation of the 2009 NAEP eighth grade math score, a statistic based on variation in student performance, is 36 points—four to five times larger. In plain English, how much of a boost in NAEP scores can we expect from a pretty big increase in the congruence rating? A little arithmetic produces the following: a one SD gain in the congruence rating (33.5 points) is predicted to yield a NAEP gain of 2.68 points. Consider that gain in terms of the two SDs. It is about 0.35 of the state-level SD—a moderate but noticeable effect that is consistent with MSU’s finding of statistical significance. But as a proportion of the student-level SD, the effect is only 0.07 SD, which is quite small, even undetectable. Moreover, the MSU analysis could not assign a firm estimate of how much time it took for states with standards similar to CCSS to generate this tiny effect, although six to eight years is a good guess. …the entire history of the main NAEP assessment—scores on the eighth grade math test rose from 263 to 285, a gain of 22 points. That averages to about one scale score point per year. The gains from 2009-2013 have significantly lagged that pace. As reported in Table 3-5, the average gain for the entire period was 1.30, which comes out to 0.33 per year. The 1.27 gap between strong implementers and non-adopters (of CCSS) is about .035 of the 2009 NAEP’s standard deviation (36). A rule of thumb is that differences of less than .20 SD are not even noticeable, let alone significant. If it takes four years for the CCSS to generate a .035 SD improvement, it will take 24 years for a noticeable improvement to unfold. And that improvement would add up to 7.62 NAEP scale score points, a gain in 24 years that falls far short of the 22 point gain that NAEP registered in its first 23 years.